The Dancer: Streetwise Cordelia Lehane, burlesque performer at the Bumble Bee Cabaret and Aristide's runner, could be the key to Cyril's plans--if she can be trusted. As the twinkling marquees lights yield to the rising flames of a fascist revolution, these three will struggle to survive using whatever means -- and people -- necessary. Including each other. "A peach softens and grows sweeter until it reaches a fragile state, lasting only about six hours, during which it's actually better than perfect--and then it goes off, it's gone, it's through. In Amberlough Donnelly takes us to a city and culture just tipping from this pluperfect moment. What a rich and melancholy book; so tragic, so gay!" --Kai Ashante Wilson, author of Sorcerer of the Wildeeps and the Nebula & World Fantasy finalist for "The Devil in America"
LARA ELENA DONNELLY is a graduate of the Clarion Writers' Workshop, as well as the Alpha SF/F/H Workshop for Young Writers, where she now volunteers as on-site staff and publicity coordinator. In her meager spare time she cooks, draws, sings, and swing dances. After an idyllic, small-town Ohio childhood, spent time in Louisville, Kentucky. She currently resides in Harlem, in a tower named after Ella Fitzgerald. 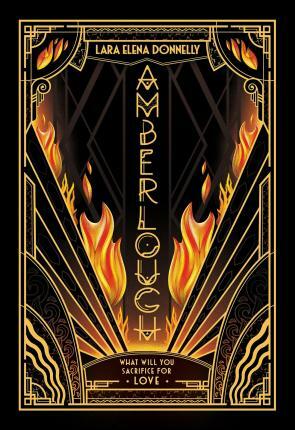 Amberlough is her debut novel.